Do you want to master data science? Understand Markov models and learn the real world application to accurately predict future events. Extend your knowledge of machine learning, python programming, and algorithms. The objective of this book is to teach you the essentials at the most fundamental level. You will learn the ins and outs of machine learning, and its real world applications. 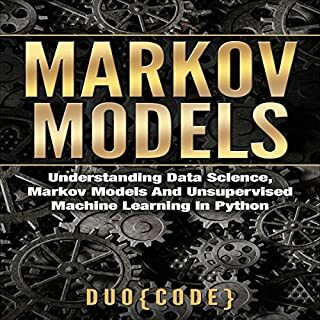 Also, specifically you will discover practical implementations of Markov models in Python programming. Artificial Intelligence is likely to greatly increase our aggregate wealth, but it will also upend our labor markets, reshuffle our social order, and strain our private and public institutions. Eventually it may alter how we see our place in the universe, as machines pursue goals independent of their creators and outperform us in domains previously believed to be the sole dominion of humans. Machine learning is a part of the field of computer science that involves computer systems being able to "learn" with data despite not being programmed explicitly. Without a doubt it is the future. However, it is as complex as it is revolutionary. If you do not have a background or any experience in the field, it is easy to get bogged down by all the complicated concepts and term. Furthermore, finding information that is easy to understand can prove to be a challenge because it most likely will not be thorough even if you do find it. Mathematical corporations - the organizations that will master the future - will outcompete high-flying rivals by merging the best of human ingenuity with machine intelligence. While smart machines are weapon number one for organizations, leaders are still the drivers of breakthroughs. Only they can ask crucial questions to capitalize on business opportunities newly discovered in oceans of data. Have you ever paused and wondered why some companies like Amazon know what you like and make timely recommendations to you? Have you noticed that some ads are really "sticky" and seem to follow you from your favorite websites to your Facebook or LinkedIn? Machine learning has become an important backend pillar for technologies to innovate and improve while continuing to learn to bring us the best possible results that we desire based on our feedback. With time, the results get better and more accurate which bring us better values such as convenience and save us time. 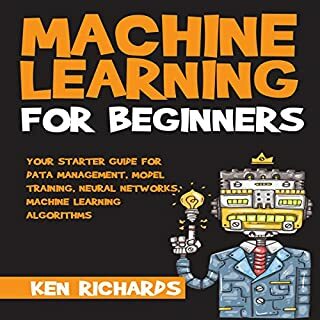 In this book, you will have a peek into what machine learning is all about and the vast applications which underpin this revolutionary AI technology. 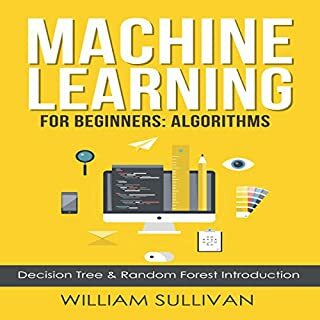 Machine Learning: For Beginners: Definitive Guide for Neural Networks, Algorithms, Random Forests and Decision Trees Made Simple is your must-have guide to explore and learn about machine learning, neural networks, algorithms (Markov, Bayes, KNN, and many more), random forests, and decision trees. I’m struggling to become a good scientist to come up with ML models that I can logically explain about the process. I think I found a perfect guide book to guide me all throughout. The writer, Matt Gates, surely knows what he is talking about. This is one easy-to-interpret audio guide. Even with all the technicalities, any reader without prior knowledge on ML can grasp the subject clearly. The author’s easy style made it possible to do so. Thumbs up for this! the author gets words wrong, the content is fragmented, I wouldn't recommend this book . The discussion has been very specific, although this is really intended for people who have basic knowledge on machine learning. 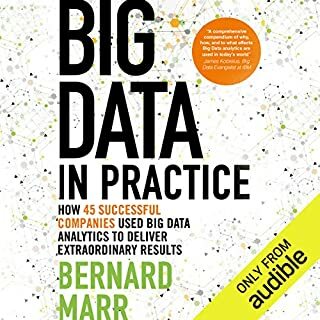 I’m also planning on consulting data analytics books too to enhance my learning. The narrator sounds like he’s seducing his readers. LOL! But I guess it’s one of his ways to get his readers’ attention and I must say that it has been effective. The illustrative examples have been useful. I’ve gotten the machine learning process in just a short period of time. I am not sure why the narrator was chosen for this job. He lacks everything you need to narrate, from clear pronunciation to connotation. 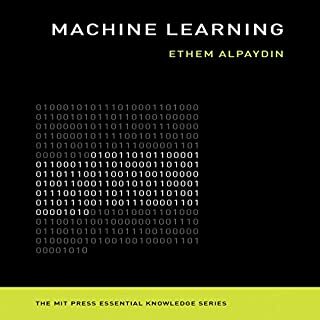 To expected the book to focus more on definitions and uses of ML. Suits newbies really well. I felt like I was back in school and it was quite challenging actually. 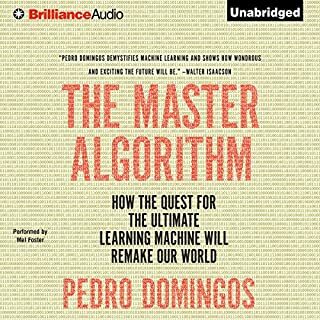 My curiosity on automated learning was piqued even more right after I managed to listen to this book in one sitting. But the narrator was pretty fast when reading it. I had to go back every time. 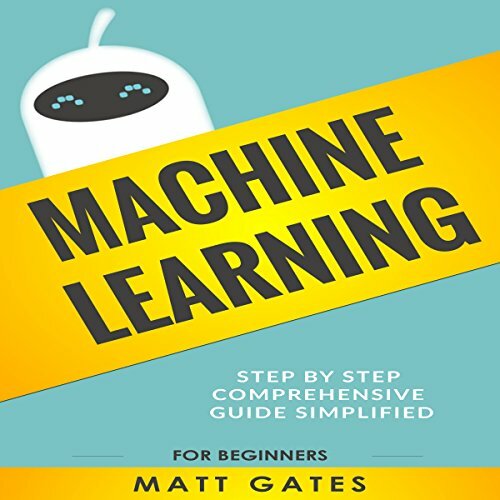 This is an excellent overview to the complex world of machine learning. I was able to get a beginners understanding of the process well as I learned of this through the audio book. Great overall for helping with a tough knowledge to gain. I'm getting the hang of it. Thanks to this. Data mining has caught my interest so much and that explains why I got this machine learning guide. The thorough explanation made it more impressive.